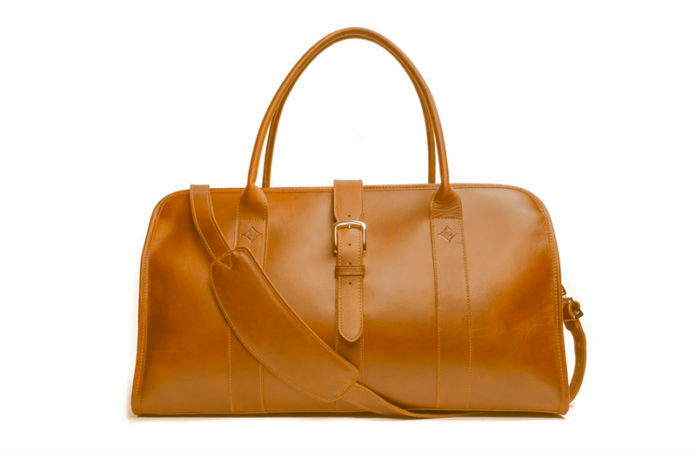 Get ready for your next vacation with Solomon Chancellor’s Acheson weekender bag. Constructed from full-grain vegetable tanned leather, the bag features platinum finished solid brass hardware, full leather suede soft lining and plenty of space on the inside and outside for all your essentials. Pick it up by it’s rolled leather handles or attach the full leather shoulder strap for a more comfortable way of carrying your bag. Solomon Chancellor is also offering free monograming for a personal touch, get yours here.